Another Outlander Day is upon us. YAY finally, Saturday’s take forever to arrive. Anyone else notice that time slows down around Wednesday afternoon and Friday gets here at a slugs pace? 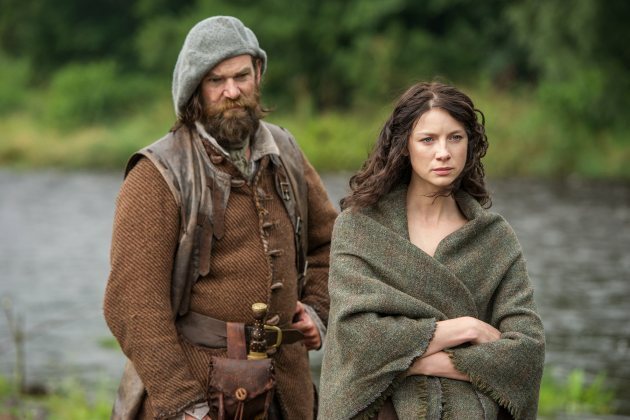 We know Claire has got to rescue her babe by those wonderful red curls. Who’s going to help her? Who is staying out of it? And who will be singing? ¯\_(ツ)_/¯ Sike I know because I read the book (do people still say sike) not that it matters at some scenes. Starz has added so many little extra gems to the show that maybe we will get a nice twist to our beloved story. I find myself re watching these episodes over and over. The actors have somehow managed to reach to their depths to portray these characters. Thank you for creating something that is by far the best portrayal of characters that I have ever viewed. I was loving Game of Thrones and Black Sails, until I watched Outlander, everything else pales in comparison. Nope, I purposefully didn’t listen to the podcast from Ron Moore to break up the year. Hopefully that helps a little bit. We can hardly wait a week, imagine another long summer and winter before seeing the next season!!! How are we going to survive? I think I will probably reread all the books for the …th time and rewatch the 16 épisodes all through whenever I can. Am I the only one affected by that illness? Is anyone beside me starting to exhibit anxiety attacks….after this Saturday episode there are only 2 episodes left, right? 2016…really is that the date for the next arc or whatever you call them?